Adjustable triangle that can be used to practice calculating the missing angle. Use the check boxes to make angle sizes show and hide. 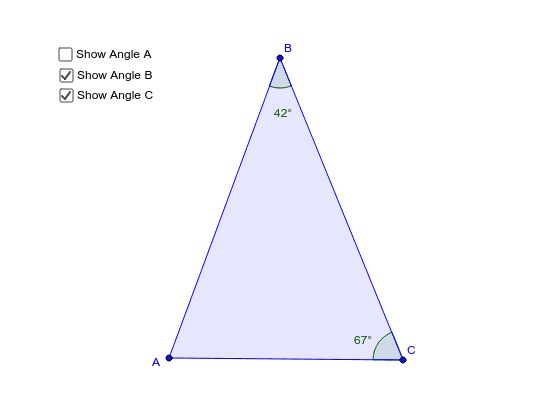 Try hiding two angles and calculating the third using your knowledge of triangles. Manipulate the shape and size of the triangle to practice as much as you like. Check your answers by making the missing angle re-appear.